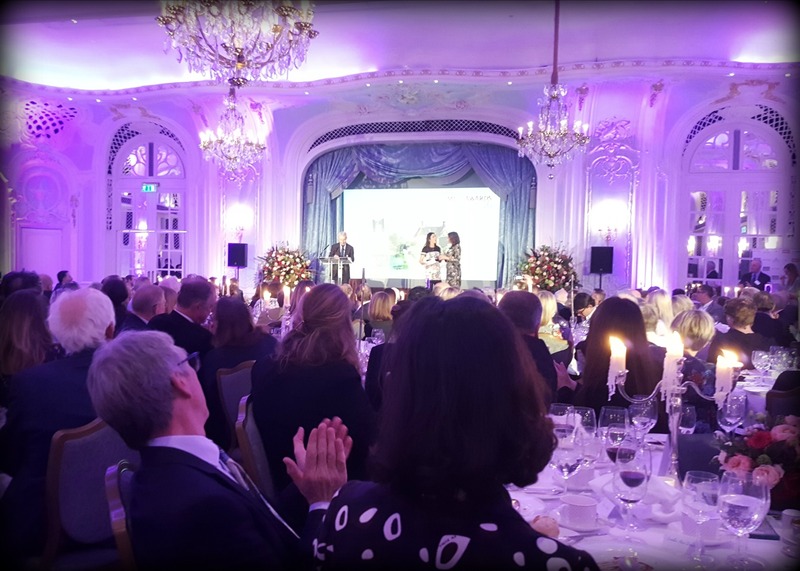 Last week, we were lucky enough to attend the Garden Media Guild Awards in London for the first time. We had received the astonishing news a couple of weeks earlier that we were finalists for the ‘Blog of the Year’ prize, so on Thursday afternoon, with hair styled, nails painted and high-heels on (and that was just Ade), we caught the train into London and made our way to The Savoy Hotel where the annual awards lunch was to be held. We were so chuffed to be finalists and felt this would be a wonderful opportunity to meet the great and the good of the gardening media world, to finally put faces to the names of some fellow bloggers whose work we so much admire, and to enjoy a little bit of glitz and glamour. Never in a million years did we expect to win the prize. We’re still reeling from the shock of it all, to be honest! 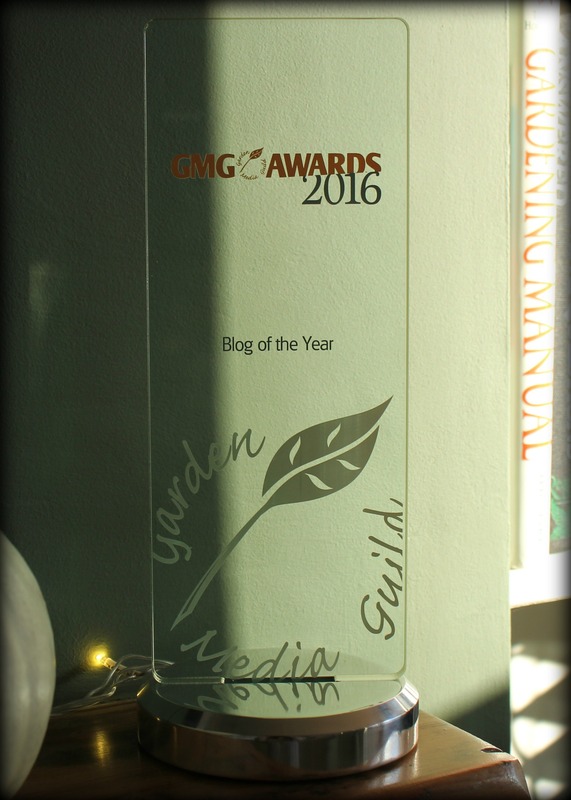 A huge thank you to the judges of the Garden Media Guild Awards (particularly to Camilla Akers Douglas and George Plumptre who said such wonderfully encouraging words to us after the ceremony), to the lovely Anne-Marie Powell who presented us with the award, and to everyone who has been so supportive on social media – our Twitter feed has been going nuts since Thursday! For those of you who have been following our blog for a while, we thank you too. Particularly those loyal, steadfast readers (you know who you are) who have been with us since the very beginning. Without your continued interest and lovely comments, we would have had nothing to sustain us and would have probably jacked the whole thing in months, if not years ago. You’ve been instrumental in getting us this far. To all our new followers – welcome! Pull up a pew, put the kettle on and make yourselves at home. This is who we are and this is where our journey started back in February 2014. We blog about our allotment, our garden and our kitchen. We love to share recipes, occasionally share videos, and often share embarrassing anecdotes. Ade has written about the trials of going back to college to study horticulture and Sophie has written about environmental campaigns we’ve supported, and has occasionally stood on her soapbox for an impassioned rant about the value of allotments. We both have a lot to say and we hope you’ll stick around and join in the conversation. We had a wonderful, if slightly unreal day, but we came back down to earth with a bump the next morning when Ade’s long-awaited delivery of sh*t arrived. (Praise be!) While Ade was smearing manure onto his allotment, Sophie undertook the altogether more fragrant task of making a celebratory pumpkin pie with one of our recently-harvested Musquee de Provence. Thank you all again, and congratulations to the finalists and winners in all the categories at the GMG Awards. You can check out the full list of finalists here and the official photos from the event here. Very good news. I love your blog it’s a good balance between advice and support and humour. Congratulations, well deserved. Love reading your blogs and trying Sophie’s recipes. WHy am I NOT surprised? Congratulations! I look forward to more adventures from the plot and the kitchen. 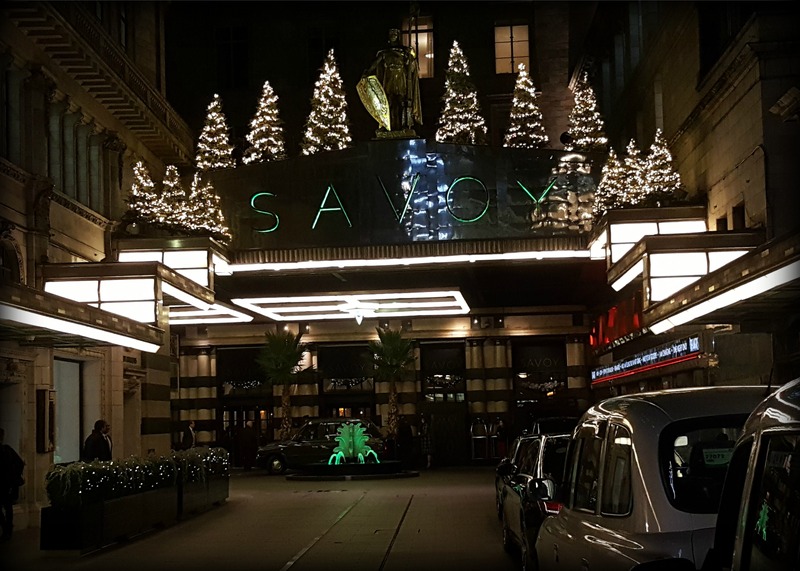 I’m so glad I managed to get through the scrum of admirers to shake hands with you… it would be lovely to catch up again sometime for a longer chat 🙂 maybe at our “garden bloggers gathering” in the New Year? Going through my emails, and somehow I missed this! Congrats, congrats! Well deserved!